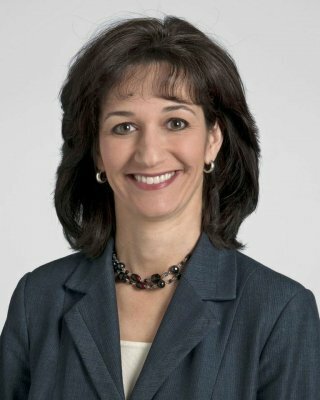 As Executive Director of Corporate Communications for Cleveland Clinic, one of the largest academic medical centers in the United States, Eileen Sheil oversees internal and external strategic communications, crisis and issues management and media relations, and serves as the chief spokesperson for the health system locally, nationally and internationally. An expert in crisis communications, Ms. Sheil is a member of Cleveland Clinic’s executive leadership team. 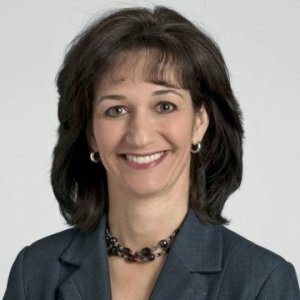 She is intimately involved in protecting and promoting the reputation of Cleveland Clinic and highlighting the clinical, institutional and business priorities of the organization. She also serves as a voting member of the Innovation Management & Conflict of Interest Committee. In 2009, after President Barack Obama visited Cleveland Clinic, Ms. Sheil and her team developed an aggressive media strategy that positioned the organization as a model of healthcare for future. Those efforts and in-depth coverage brought Cleveland Clinic into an international spotlight and gained the health system the most extensive media coverage in its history. Media coverage is the leading source of national awareness to the general public and a key factor in driving patient volume to the hospital. The Corporate Communications team also is responsible for employee communication, which drives employee engagement, behavioral and cultural changes, and leadership communication to all of Cleveland Clinic’s 42,000 employees. Ms. Sheil has worked in communications for the past 22 years, mostly in healthcare. She has extensive experience in health policy, crisis communication and issues management. Prior to coming to Cleveland Clinic, she worked in Ohio for Kaiser Permanente, one of the nation’s largest nonprofit HMOs, where she managed public affairs and media relations. She started her career in advertising at Glazen Advertising and moved to public and media relations at University Hospital’s Rainbow Babies and Children's Hospital in Cleveland. Ms. Sheil earned her bachelor's degree in journalism from Ohio University and a master's degree in public administration from Cleveland State University. She has served as a board member for The Providence House, volunteered for Big Brothers/Big Sisters and has served on committees for other nonprofits in the Cleveland community. Law Enforcement Officers and Firefighters U.S.
Ms. Sheil shares how organizations can effectively work with the media and successfully communicate to both internal and external audiences during a crisis. She also discusses communication ethics and the benefits and challenges of communicating with transparency. Ms. Sheil’s presentation helps audience members prepare to communicate in a manner that resonates with others and inspires teams to be active partners in the process.